January 5th 2016: A stay in hospital can be a stressful experience at the best of times. The Trust was keen to offer a free basic WiFi service. As well as top quality medical care, patient experience is a vital part of the Trust‘s offering. With modern smartphones and tablets giving patients access to online services, including social media and entertainment, the Trust wanted to improve the WiFi provision across its sites. Working with WiFi SPARK, the Trust opted for a free-to-use service, allowing basic Internet access, and a premium paid-for service which has the capacity to allow streaming of sites like Netflix or iPlayer. WiFi SPARK created a unique User Experience Portal (UEP) providing direct access to the service, along with a filter to ensure the system was not used to access inappropriate content. The UEP is configured to react to whichever device the user has, making the process simple to navigate. The Portal also gathers usage data which is held securely and belongs solely to the Trust, and not to WiFi SPARK or any other third party. WiFi SPARK has its own UK-based 24/7 support desk for customers and the client, and monitoring systems that will identify problems before they escalate. This gives the Trust peace of mind and takes the responsibility of running the system away from their own IT departments. Needless to say, the system is fully compliant with legal requirements. Using their extensive experience of working with other hospital trusts, WiFi SPARK proposed a patient and visitor WiFi solution for all the Trusts sites. Because the Trust already had wireless infrastructure in place for clinical use, WiFi SPARK were able to enhance this to offer wireless services for all of the hospitals visitors and patients. A proprietary SPARK® gateway controls traffic and provides security, compliance and filtering. Working with the Trust’s IT department WiFi SPARK also set up an additional SSID and VLAN, which adds an additional network layer, routing all traffic through the SPARK® gateway. Two high-speed leased lines ensure plenty of capacity for the expected Internet traffic. In addition to the hospitals, the Trust also owns the W12 conference centre. The centre has its own dedicated UEP, which offers the potential for sponsor branding and marketing. As a final touch, WiFi SPARK provided the Trust with marketing materials, such as window stickers, leaflets and posters, to promote the service. As a result of the work done by WiFi SPARK and the Trust, 1.2m patients as well as visitors and hospital staff can now enjoy free WiFi across all of the Trusts sites. Imperial College Healthcare NHS Trust provides acute and specialist health care in North West London for around a million people annually. 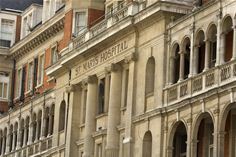 The Trust encompasses five hospitals – Charing Cross, Hammersmith, Queen Charlotte’s & Chelsea, St Mary’s and The Western Eye – as well as a growing number of community services. With Imperial College London, Imperial is a designated academic health science centre, supporting rapid translation of research and excellence in education. The Trust seeks to ensure care is not only clinically outstanding but also as kind and thoughtful as possible. Imperial wants to play its full part in helping people live their lives to the fullest. Kathy Lanceley, Head of ICT Operations and Deputy CIO says: “WiFi SPARK is our guest WiFi provider and has more than 70 NHS Trusts as clients. They have been really great to work with and we would be happy to recommend them to other NHS organisations. They are certainly doing amazing things with the guest WiFi in healthcare”. WiFi SPARK is a specialist WiFi network solutions provider with an extensive portfolio of active locations across the UK, including the National Exhibition Centre (NEC) in Birmingham, MDL Marinas which is Europe’s largest marina group and hundreds of NHS hospitals. The revolutionary architecture of SPARK® enables businesses to provide a branded WiFi Experience to guests, and target additional revenue streams through advertising and data collection. WiFi SPARK solution offerings range from single small sites to large-scale urban deployments, all based on the unique SPARK® software platform. No other wireless network provider can offer the same adaptability, span of features, and ultimately, return on investment.